The Grammys “In Memoriam” segment this year left out XXXTentacion, a rapper whose decidedly mixed legacy included domestic abuse accusations involving a pregnant woman. 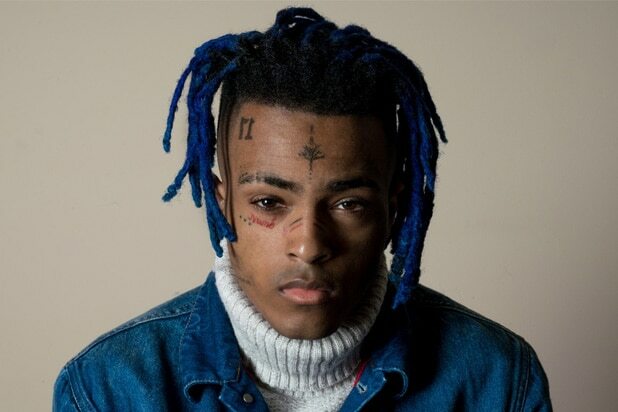 The rapper, born Jahseh Dwayne Ricardo Onfroy, died last June at age 20 when he was shot dead near a motorcycle dealership in Broward County, Florida. It was unclear whether the abuse accusations against XXXTentacion factored into his absence from the tribute. But Joe Jackson, whom Michael Jackson very publicly accused of abuse, was included in the tribute segment. A representative for the Grammys did not immediately respond to a request for comment after the ceremony ended Sunday. Pitchfork reported that XXXTentacion’s ex told prosecutors that at one point in their relationship, he threatened to kill her “literally like every day.” She also accused him of head-butting her, holding her head under water, hitting her, strangling her, and threatening to kill their unborn child. The full account is here. The domestic violence accusations against XXXTenacion led Spotify to announce in May 2018 — a month before his death — that it would no longer stream his music. But his songs returned after his death. Born in Plantation, Florida, XXXTentacion entered the music industry in 2013 with the release of his song “News/Flock” and became a widely celebrated SoundCloud rapper whose introspective songs confronted dark and difficult emotions. However, XXXTentacion had legal troubles dating back to 2014 when he was sent to a youth detention center for a year on gun possession charges. In 2016, he was arrested again and charged with robbery and assault with a deadly weapon. Then in October of that same year while out on bail awaiting trial, he was arrested on charges of false imprisonment, witness tampering and aggravated battery of a pregnant victim. XXXTentacion was released on house arrest in March 2018, after which he posted on social media that he was going back to community college to get his GED. He encouraged his fans to find hope in the fog of their despair, but bragged enthusiastically about the joy he felt in brutalizing others. His music brought solace to the depressed, the same way it granted validation to violent young men like him, legitimizing the pain of so many while paving over the suffering of countless victims of domestic violence. XXXTentacion was not included in the #Grammys In Memoriam and, despite all of his terrible actions, that feels very disrespectful. He was a major recording artist whose music meant something to a lot of people, and he was murdered. I have read at length the allegations against him, and I am not a fan. But he was still a person, and he was objectively significant to music. Also, in conjunction with the Grammys ignoring the detention of 21 Savage all night, it felt extra intentional. The 61st Annual Grammy Awards brought out musicians from across the globe to honor their own Sunday night. It also brought out a few who maybe should have thought about giving themselves one last look in the mirror before stepping outside and heading to the Los Angeles' STAPLES Center. 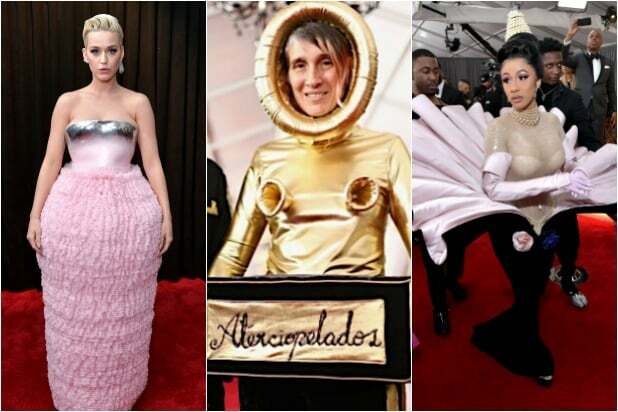 Here's a look at this year's Grammys fashion, ranked from least to most outlandish. Ricky Rebel wore a patriotic jacket with "Keep America Great" on the front and "Donald Trump" across the back. Joy Villa isn't shy about her political leanings, as displayed in this brick-patterned gown with "Build the Wall" across her behind.